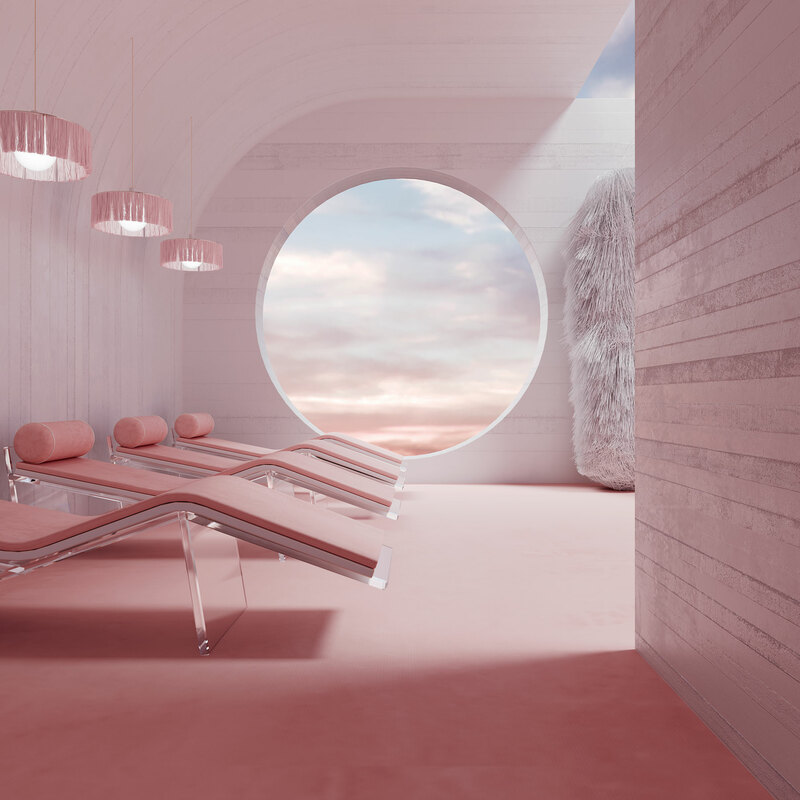 Ahead of a solo exhibition at Chamber gallery’s new location in Buenos Aires, the multidisciplinary designer shares his refreshingly simple approach to conceiving the utopian digital dreamscapes that have made him an Instagram sensation. 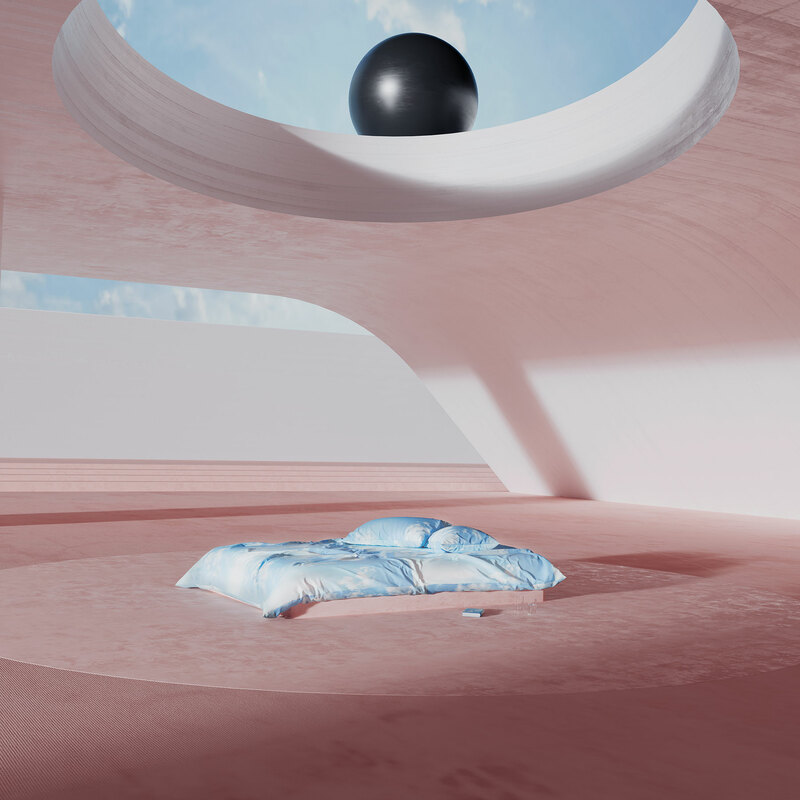 Describe what you make: I create in the zone between industrial design, craft, architecture, sculpture, conceptual art, installation, and 3D digital art. 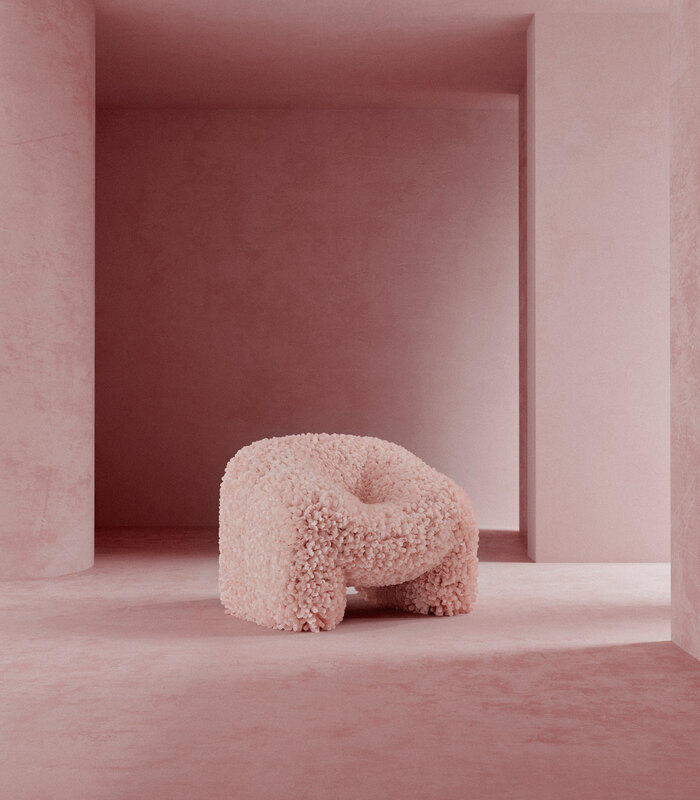 The most important thing you’ve designed to date: The Hortensia Chair was the result of an amazing and fun exploration. I never thought something that reflects my sense of play would be so accepted and requested. Describe the problem your work solves: I solve problems that need time to live with. I like to create more problems before solving the main one. This way, I can spend more time co-living with the problem. It’s the only way to really feel the necessity of solving it. 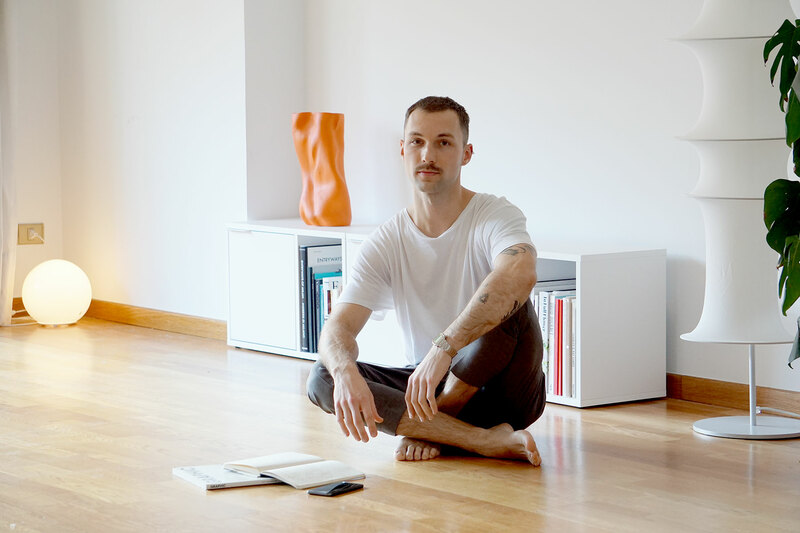 Describe the project you are working on now: My work is mostly digital—it’s an amazing way of creating. But I want to grow in both disciplines, as an artist that thinks design processes. A new or forthcoming project we should know about: I’m very excited for a solo exhibition at Chamber, opening in Buenos Aires on Feb. 23 and 24, called “Complicated name for the show.” I’m preparing an installation and three furniture pieces—it’s a great challenge to produce work that wasn’t designed for this physical world. What you absolutely must have in your studio: I prefer silence while I work, and music when I chill. I don’t snack in between meals. I don’t even eat breakfast! I’ve been practicing intermittent fasting for at least two years. What you do when you’re not working: I create more work, really! I also love to spend time with my wife, Mica Lucas, and practice calisthenics in sunny Barcelona. 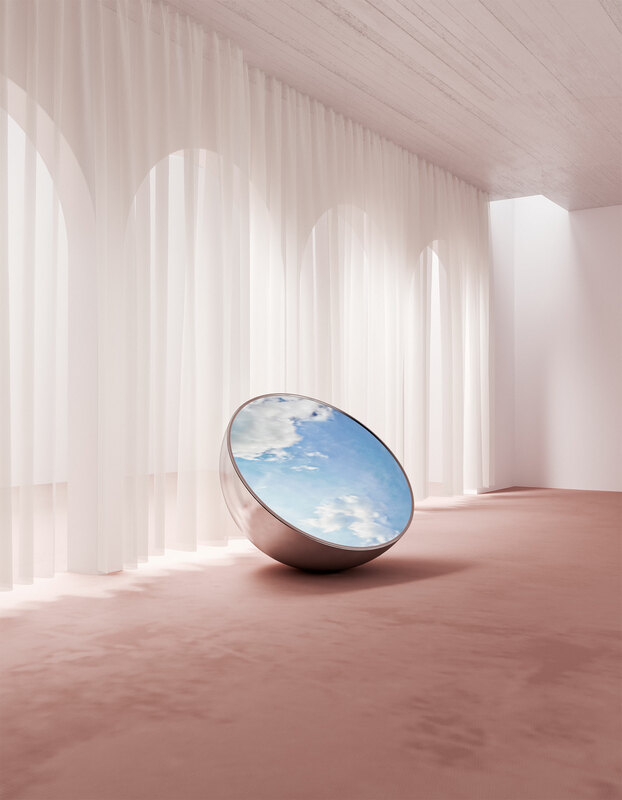 Sources of creative envy: Maurizio Cattelan, Ettore Sottsass, Dimore Studio, James Turrell, Gyula Kosice, Erwin Wurm, Marijn van der Poll, Max Lamb, and Anish Kapoor. The distraction you want to eliminate: Emails. Concrete or marble? Marble marble marble! Aliens or ghosts? 100% aliens.